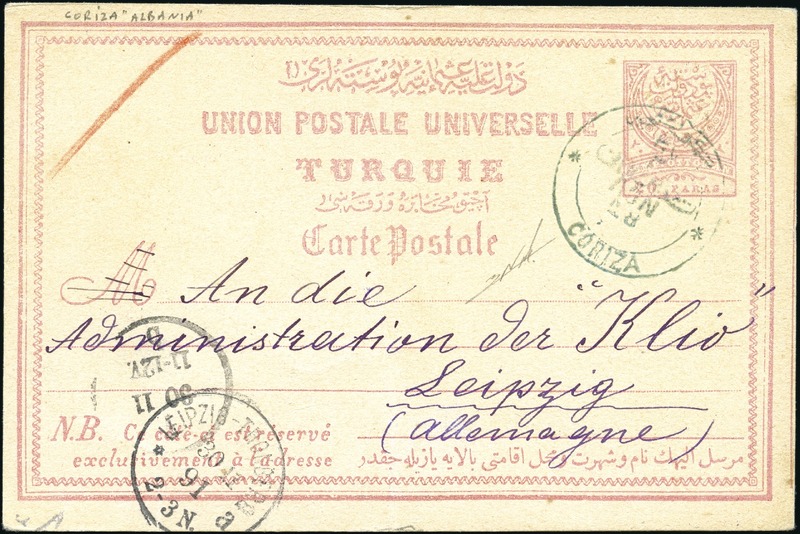 Korçë-Coritza 1884/91 issue 20 pa. rose on buff postal stationery card used in 1891 from Coritza to Leipzig showing extremely clear bilingual “Coriza” circular datestamp (Coles & Walker fig.66) well struck in blue, with date (Nov 18) Leipzig arrival cds at left (30/11) in black. 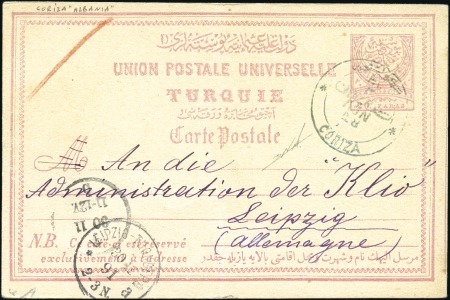 Fresh and fine, a scarce cancellation. Signed Nakri.